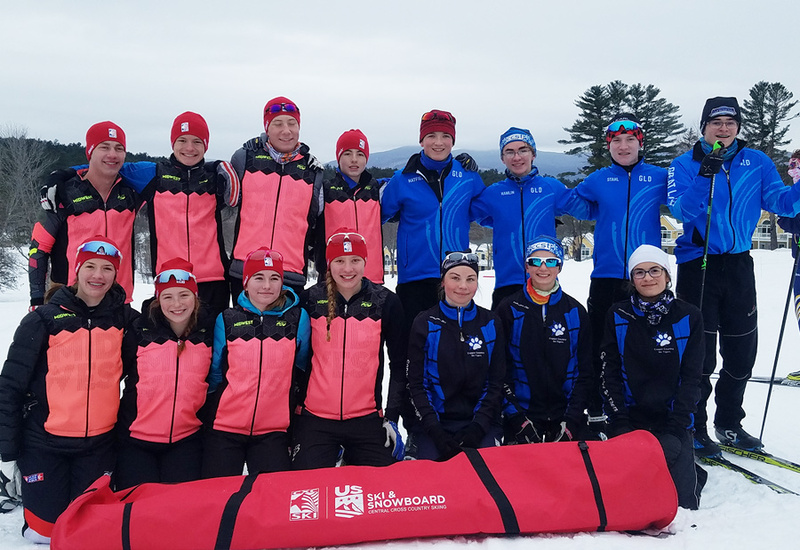 Central Cross Country Skiing (CXC) will provide an opportunity for qualified talented young juniors from the Midwest Division to compete amongst their peers at the 2020 NENSA U16 Championships at Mountain Top Inn & Resort in Chittenden Vermont, from March 6-8th. The team will be comprised of four U16 boys and four U16 girls for a total team size of 8 junior athletes. 1. The team will be selected by using the Midwest Junior National U16 qualifying list. Athletes ranked in 10th, 11th, 12th and 13th position on the final points list will qualify for the team. All selected athletes will compete in team race suit and vests to represent CXC Midwest Division as a team. Coaches will receive vests. * Note: each coach on is a volunteer who is excited to be part of helping the MW's Junior athletes to have a great experience at the March Junior Trip. Trip costs vary due to the location. For the past two years trip costs were $1,600 plus athletes' race kit and vest. Parents are welcome to join this trip with their athletes but will need to cover their expenses. CXC will advise with logistics of travel, housing and Awards Banquet information. For more information please contact Yuriy Gusev at yuriy.gusev@cxcskiing.org. As Head Coach of the two teams of young skiers going east, it's been inspiring to see where the kids from each year have gone on and done and how they've progressed. The U16 Championships was a new experience for me also, having brought together a team where I knew just one or two skiers and meeting at 3:30 am in the Minneapolis Airport it was interesting to see the interaction of the skiers as they were introduced, shyly made new friends, and by the end of the trip had become good buds. With new venues, new teams, and new coaches each year the changes have made me, as an "experienced" coach, step up my game and bring my best to the abilities that so many other coaches have honed. The U16 trip is a fantastic opportunity to grow as a young skier, and I'm personally thrilled to have the opportunity to lead another group. Whatever the results, we're going to ski fast and have fun.